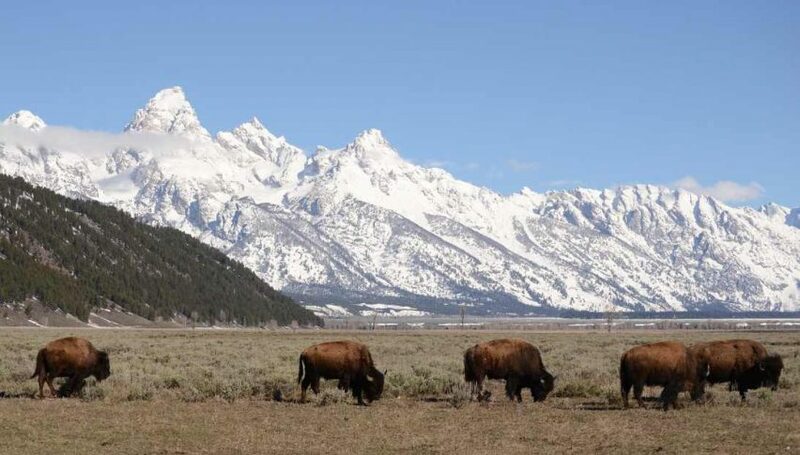 Powell's Comments Today At Jackson Hole, Wyoming, Have Buffaloed The USD Index. FED Chairman Jerome Powell took center stage at the Jackson Hole symposium earlier today, amid much fanfare. Traders were watching the new FED honcho closely for any clues regarding mood and forthcoming policy decisions. The speech was very typical of central bankers — vague rhetoric followed by two-way generalities. However, the USD Index did not particularly care for the tone of Powell’s comments. For the session, values of the Greenback have fallen precipitously. Losses against the Swiss franc and Euro have highlighted the USD’s performance on the forex. To put it bluntly, Jerome Powell’s vacation to the Wyoming range has not been kind to USD bulls. Many in the financial community were eagerly awaiting Powell’s address at Jackson Hole. It was to be the FED Chairman’s first public speech since President Trump began personally critiquing him two weeks ago. How would he handle the situation? There are many ways to interpret the comments, and the financial media is certainly doing that. My take is that rates are going up in September, and will not be touched again until 2019. This gives the FED the best of both worlds; it allows them to take an active approach to inflation management while ensuring robust U.S. economic performance throughout the holiday season. At the moment, it appears that traders are agreeing with my synopsis. September USD Index futures are off significantly amid a growing belief that it will be only three FED rate hikes for 2018. Overview: The CME FEDWatch Index currently has a 65% chance of a December rate hike coming to pass, the fourth of the year. This sentiment is down 1% from yesterday and is likely to be revalued considerably on Monday. I expect it to be near 50/50 by this time next week. 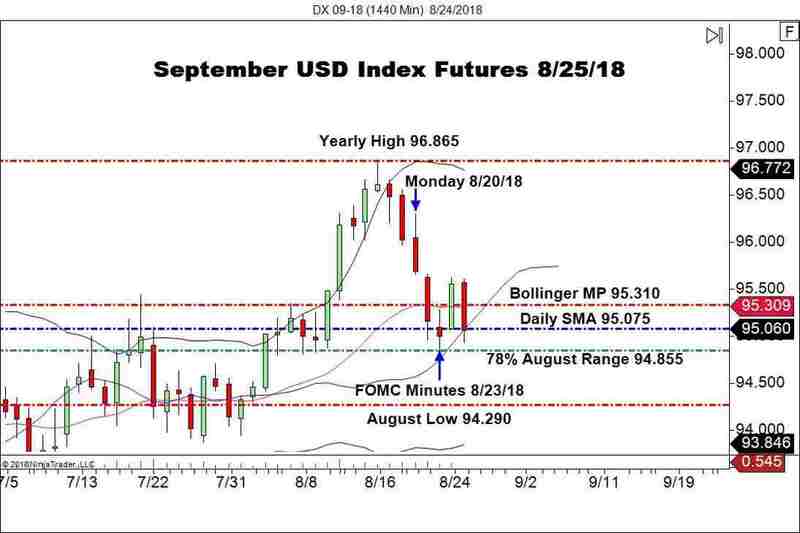 The USD Index futures look to already be pricing in a docile FED for the rest of 2018. If so, the yearly top for the Greenback may already be in.